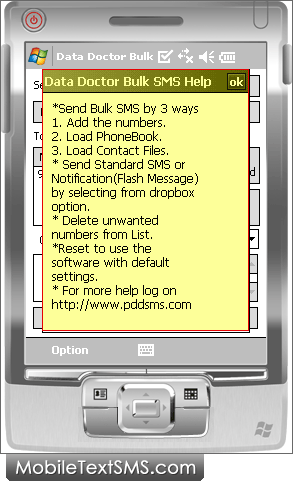 You can send SMS in three steps: Firstly Add numbers, Load Phone Book, Load Contacts File. 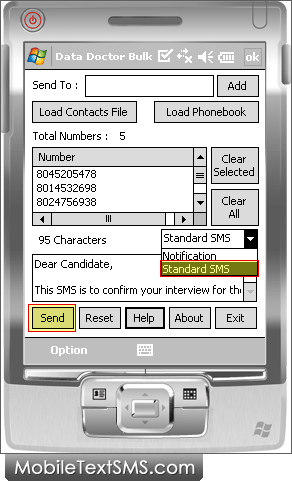 Select Notification or Standard SMS, which you want to send. 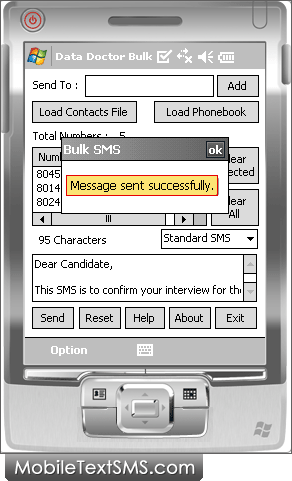 Click 'Send Button' to send sms.